Hard yakka, no sweat. Thick, luxurious socks for maximum comfort under work and hiking boots. You’ll feel especially grateful for our premium yarn’s thermo-regulating properties, giving you loads of padding without the usual overheating. All Boody socks feature a premium hand-linked toe seam for comfort and have a reinforced toe and heel for durability and longevity. All round great sock. Highly recommend. 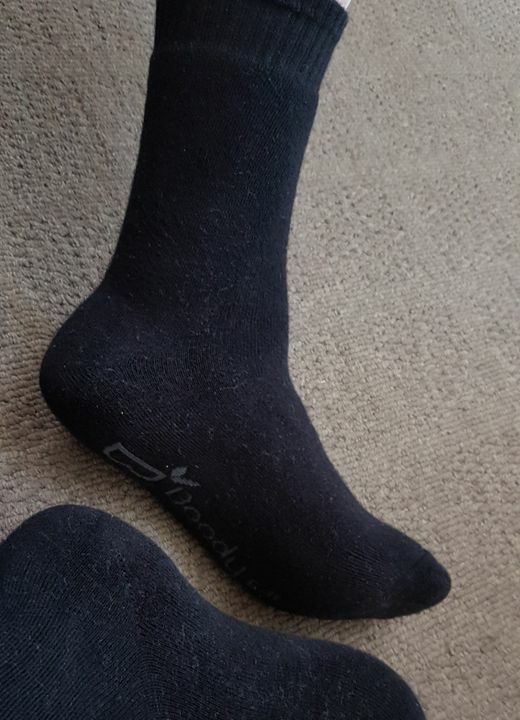 Very Happy with these socks, medium thickness and so soft.. Very breathable, not very thick at all so doesn’t really work with a steel cap boot. Purchased these in replacement to explorers as the temp at work has been in the 30s and 40s. They are outstanding and have now replaced my entire work sock collection.